Long drive with the people you like is one of the greatest memories one can have. Whether you are talking sports, or Strategy or just playing carpool Karaoke, a people mover will provide you with the greatest memories you will have on the Road. With a lot of legroom and Luggage space, our people movers will make sure you will be having a great drive with your loved ones. With the cruise control, once you hit the highway, you can set the speed, stretch your legs, and relax while you drive. You can add an additional driver on your rental policy and share the driving with you peers, so you won’t get tired and cause any accidents. Did you know, Fatigue whilst driving is one of the major causes of accidents on Australian roads! For some periods and shorter trips, an 8 seater would cost you less than $8 AUD per person a day. That will be a lot cheaper than most of the public transfer fares we pay these days to get from A to B. 5. What kind of people movers you have on Hire? We have a range of People movers on our fleet. People movers can be classified in to 2 categories. 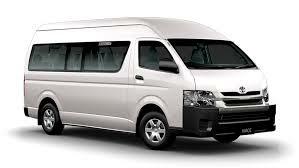 8 seaters such as Toyota Tarago’s, Kia Carnivals, Hyndai Imax’s etc., which are not 4WD’s. We do rent Toyota Tarago’s, Kia Carnivals and 4WD’s such Toyota Klugers. Each people mover vehicle has its own advantages and disadvantages. 6. Which people mover would suite my needs? If you a 4WD enthusiast with less people or you travelling with Kids, then the Toyota Kluger would suit your needs. The last 2 out of 7 seats would be a little smaller for a full sized adult. Bear in mind a 4WD would cost you more in fuel. However, if you have more Adults to travel with you and a lot of Luggage the Toyota Tarago or a Kia Carnival would be the better fit for you. However, at the end of the day, you are the one planning this great Holiday / Adventure and your preference will take the most priority. If you still have more questions, please give us a ring a (02) 8056 6535 and explain your needs and one of our staff member will be more than happy to assist you. What type of car to hire? Do i need a 4WD? 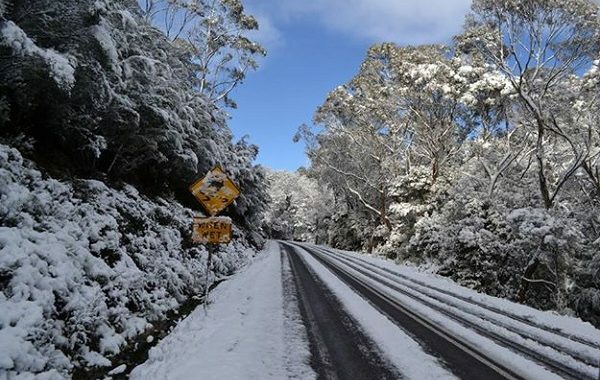 Often we receive calls from our customers asking for 4WD cars to rent because they are going to snow. If you hire a rear- or a front- wheel drive car, you will also need to rent the snow chains. Therefore it is a common perception that a 4WD will save you a lot of money on your car rental. Low Cost Car Rentals staff believes the choice of the car to rent depends on the circumstances. If you have more than 5 adults in the car, we would recommend you to hire a people mover. You can easily find a 4WD which is a 7- or an 8- seater. However, the last row in most 4WDs have a height limit. Depends on how tall your friends and/or family are, it might be just too tight for all of you. You will probably think the 4WDs have better storage space? You are wrong. 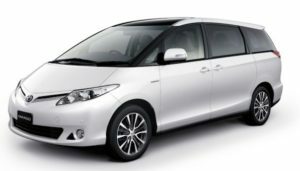 People movers like Kia Carnival or Toyota Tarago offer a larger boot space than most 4WDs. Our branch manager once said “4WD is only good in snow if you know how to drive a 4WD in the snow!”. Four-wheel drive systems are helpful options, but they aren’t cure-all for winter driving problems. It is important to become familiar with a few 4×4 driving basics before you tackle snowy roads. The advices for driving any type of vehicles are the same: slow down on windy roads, keep extra distance from the cars in front of you and take a lot of rest as snowy roads reflect the sun and tire your eyes quicker than usually. It is also recommended to switch your 4WD into 2WD mode when driving downhill. Nevertheless, If you have neither a lot of people, nor a lot of baggage, you should be just fine with a sedan or a hatch. 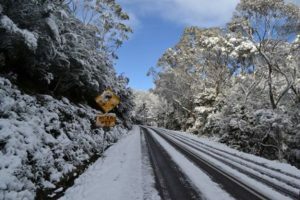 If you planning to drive to the snowfields and not to drive up the snow mountains, then any car will do the job. Don’t forget there is also a choice of AWD cars to rent too. Renting a 4WD is a good option when you are moving house on a budget. Vans, trucks and utes can be very costly. Additional tip is to ask for a car that has a tow-bar and/or roof racks fitted. Some of our 4WDs and people movers do. That will save you on another trip between homes. We will easily find a winner in the selection of the four-wheel drive cars. It is also important to tell the rental company that you are planning on such a trip. When driving off-road, not all 4WD are the same. It is important to have high ground clearance so if you drive over a stone, you would not damage the bottom of the car. Off-road is often not sealed. Even straight roads would have some mud pools and cause the car to skid. Rent a 4-wheel drive to do the job, unless you are planning to spend most of your time waiting for road side assistance or towing truck.